Find accommodation and places to stay in Molde. Find accommodation and places to stay in Lofoten. Where to stay in Norway? Use this article to find the accommodation in Iceland that best suits your preferences; cheap, comfort or luxury. Your stay in Norway need not be expensive. In the summer most locals go camping, an activity we definitely recommend. Sleeping on the soft ground is rewarding and enhances your experience of Norway's nature. Camping sites are usually situated in beautiful places, they're fun. Usually, they will have a barbeque for public use, clean bathroom facilities and some even have showers and washing machines. There are well over 200 camping sites in Norway. In Norway, there is also allemannsretten, which allows any to pitch a tent anywhere in Norway unless otherwise stated on the property. For hostels see Hosteling Internationals’ website, it has a network of 49 hostels around the country. There are hotels and guesthouses to suit all tastes and budgets in Norway, from the most luxurious to the simple and sufficient. For apartments take a look at Airbnb. Many locals have their apartments listed there. A rorbu is a traditional Norwegian name for a seasonal cabin, historically used by local Norse fishermen. Normally, these wooden cabins would be located in fishing villages, by the shore. Normally, they are built onto piers that extend into the water. Most of the rorbu cabins are found in Northern and Western Norway and many of them have been renovated in recent years and are now rented out to travellers. 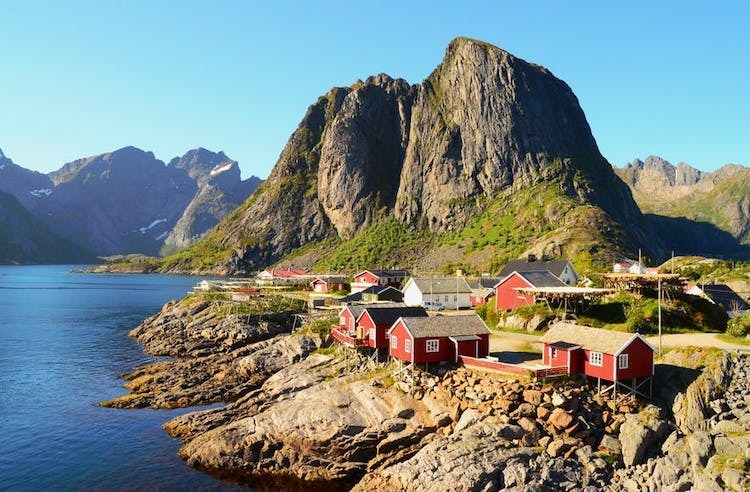 On Norway Travel Guide, you can find a selection of some of the nicest rorbu cabins available in Norway. Can't find the accommodation you are looking for?